Live Chat Software for your website. 5 minute install. Chat live with visitors! 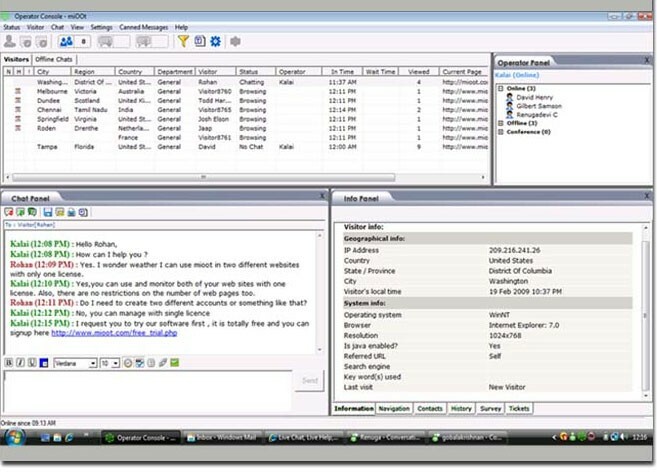 Live Chat Software 3.1.5.0 is chat & instant messaging software developed by ChatStat Technologies Incorporated. Chat Stat offers free 2-way live chat with your website visitors, free MovingGraph website statistics, and free live chat messaging support for AIM, ICQ, Yahoo, MSN, Jabber, GoogleTalk, Skype, and Skype Voice Over IP. Chat Stat also breaks new ground by being the first Live Chat software that can use the Skype VOIP protocol to "call back" customers. 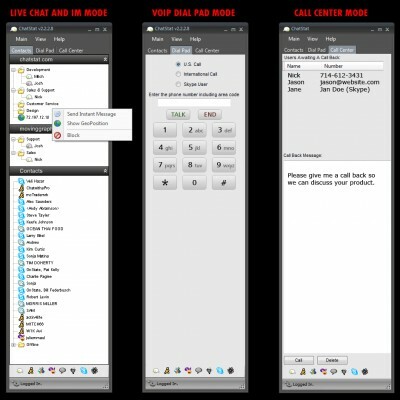 Chat Stat has TRUE multi-site live chat support and EBAY auction live chat support. Chat Live! This chat & instant messaging software is freeware, which means you can download and use Live Chat Software 3.1.5.0 absolutely free. There's no need to buy the product. Live Chat Software 3.1.5.0 supports English interface languages and works with Windows XP/Vista. Latest Live Chat Software 3.1.5.0 does not contain any spyware and/or advertise modules, allowing installing it with no worries concerning valuable information loss. Our website has thoroughly tested communications product Live Chat Software 3.1.5.0, written the review and uploaded installation file (6475K) to our fast server. Downloading Live Chat Software 3.1.5.0 will take minute if you use fast ADSL connection.